At least for the time being, art is the primary way we experience dinosaurs. We can study bones and fossils, but barring the invention of time travel, we will never see how these animals lived with our own eyes. There are no photos or videos, of course, which means that if we want to picture how they look someone has to draw them. Bob Bakker became obsessed with dinosaurs at an early age and went on to become one of the most famous paleontologists in the world. 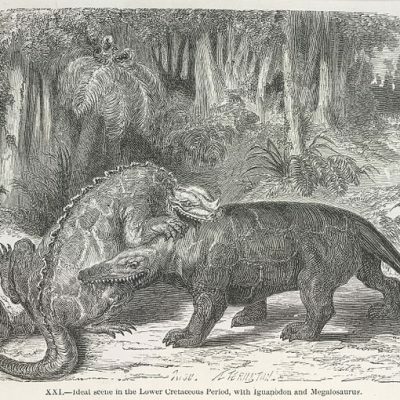 He also happens to be a very skilled paleoartist, and over the years his writing and his illustrations have had a huge impact on how we think about and picture these prehistoric animals. In the middle of the 20th century, when Bakker first started college, American dinosaur science was in a bit of a rut. 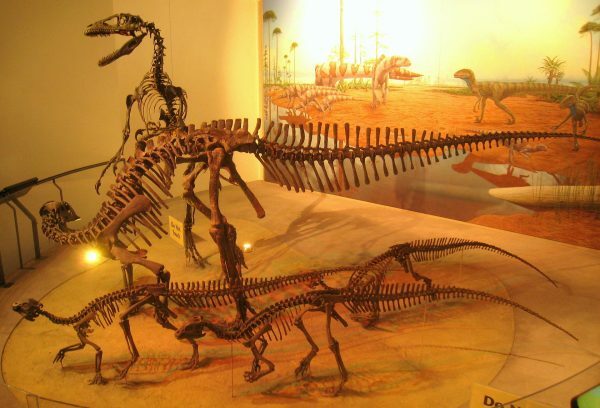 Dinosaurs were considered big, dumb, cold-blooded reptiles. They were thought of as evolutionary failures destined for extinction. And that view of dinosaurs affected how they were drawn. In most paintings of dinosaurs, the creatures were not moving or interacting with each other — there was no spark of intelligent social life. And their bodies were these hulking masses of flesh. But paleontology was about to go through a spectacular shift. During Bakker’s freshman year at Yale, the geology department took him and some of the other students out on a dig. The trip was led by one of Bob’s professors, a paleontologist named Jon Ostrom. 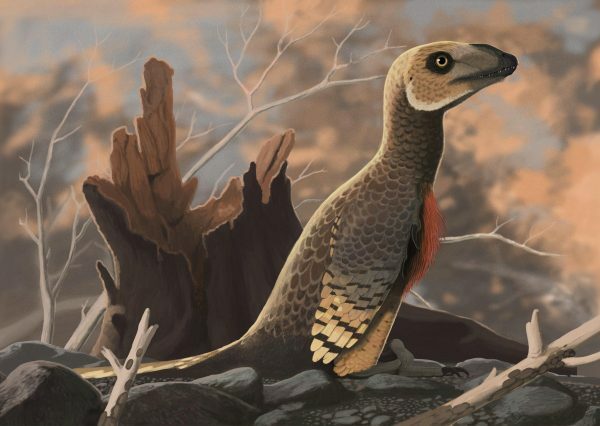 On the dig, they dug up a new species of raptor named Deinonychus. 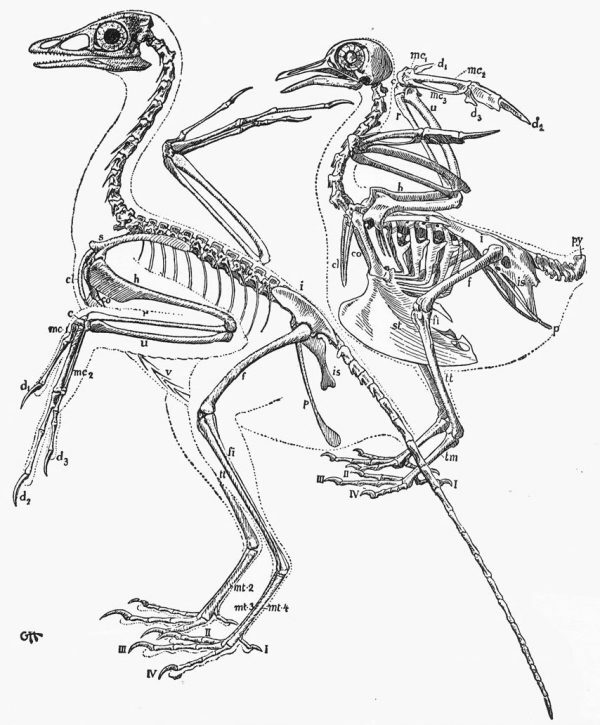 After studying the fossils back at Yale, Professor Ostrom began to argue that if you really looked at the anatomy of deinonychus and other dinosaurs they looked less like a lumbering lizards and more like a super athletic birds. Bakker was fascinated by this idea. 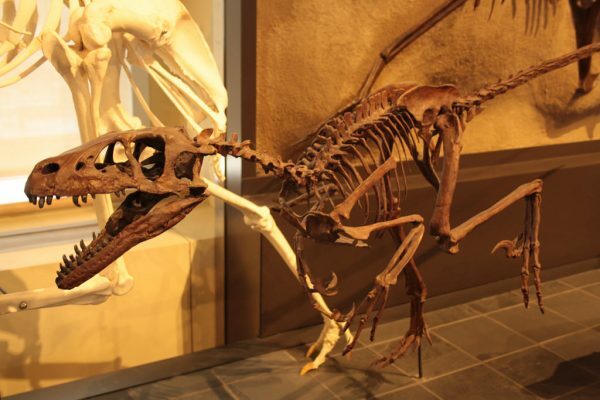 As an undergraduate, he dissected modern animals in an effort to better understand dinosaur musculature. He concluded that the old stereotypes about sluggish, stupid dinosaurs just didn’t hold up. Bakker and Ostrom weren’t the first people to come to this conclusion. As early as the mid-19th century there had been scientists and religious thinkers who believed that dinosaurs were intelligent, active, and bird-like. But those ideas weren’t in the textbooks. But convincing people that dinosaurs were actually totally different than they had been depicted for the past sixty years was going to require more than a few good academic papers. To really change people’s minds, sometimes you gotta show instead of tell. 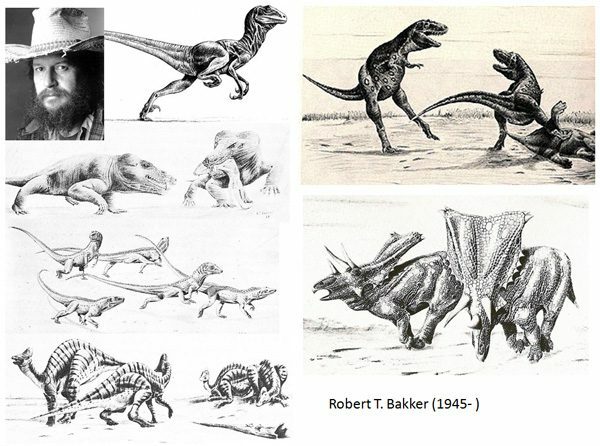 Bob Bakker was a skilled illustrator as well as a scientist. So when Jon Ostrom wrote his definitive paper on Deinonychus, he asked Bakker to do the illustration. In the picture, the raptor is nearly parallel with the ground, its left leg springing forward, its right leg curled tightly against its torso, preparing for the next stride — it’s beautiful, and terrifying. 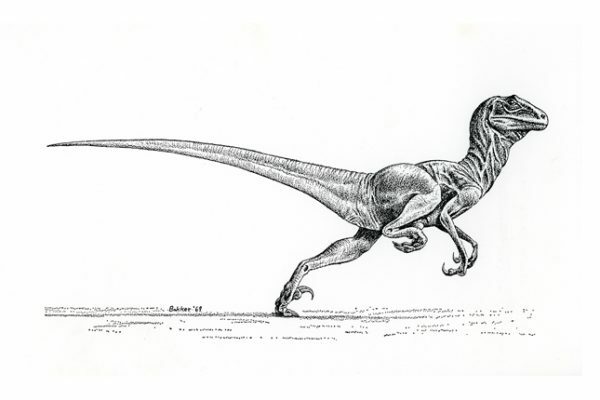 Bakker’s Deinonychus became an iconic drawing. No one had ever seen anything like it. Bakker went on to write academic and popular articles about how impressive dinosaurs had been, and he illustrated them all himself. He drew dinosaurs bounding across the prehistoric landscape like track and field stars with lithe, muscular bodies. And Bakker’s athletic dinosaurs became a model for other paleo artists like Gregory Paul. If anyone missed out on this scientific revolution, and still thought that dinosaurs were slow and stupid, that ended in 1993 with the release of the film Jurassic Park. The dinosaurs in Jurassic Park are very… active. When that movie came out the whole world got to see these fierce, athletic creatures running through kitchens and eating lawyers off of toilets. Once you’ve seen the dinosaurs in Jurassic Park, you can’t unsee them. John Conway draws dinosaurs for a living, and he believes the film Jurassic Park cemented people’s idea of what a dinosaur is supposed to look like. 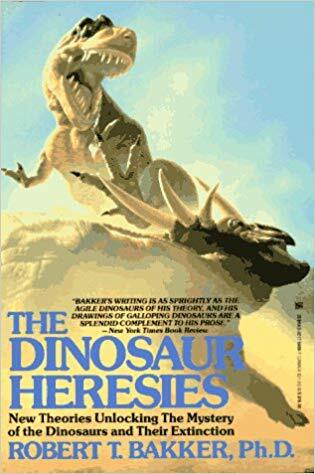 Conway became interested in paleoart after reading Bob Bakker’s book The Dinosaur Heresies. 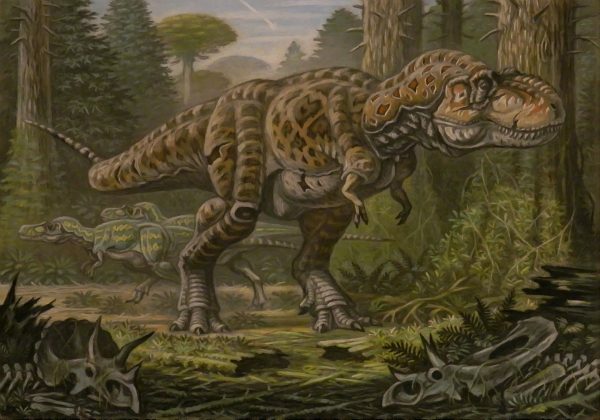 Now paleoartists weren’t just doing that to make their dinosaurs look all cool and buff. They were trying to be accurate. 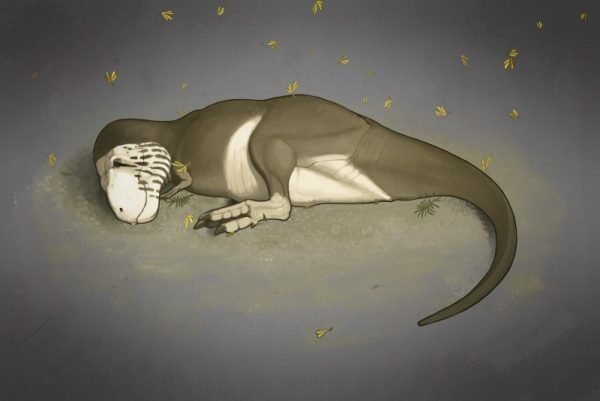 Accurate dinosaur art has to be rooted in real scientific evidence — and the main piece of evidence is often a skeleton. 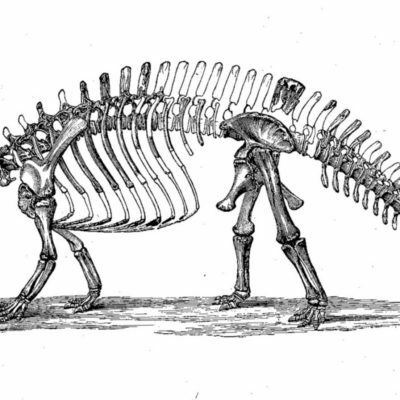 Paleoartists would base the shape of their dinosaurs on an accurate skeleton and then layer on muscles in appropriate places. Soft tissues like fat, however, often don’t survive for for millions of years like bone, and so artists tended to be pretty conservative about how much fat they gave their dinosaurs. The result was that all of these dinosaurs looked like they went to the gym three times a day and drank protein shakes for every meal. 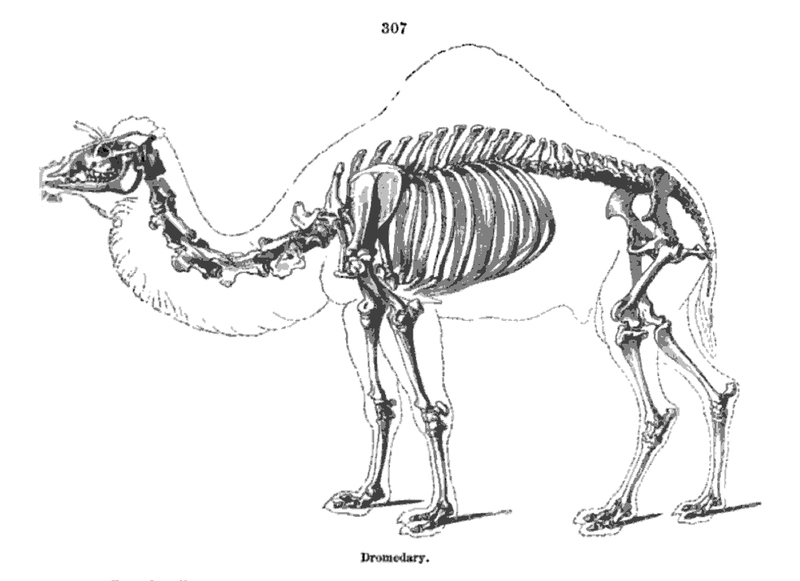 John Conway says it began to feel as though paleoartists had replaced one orthodoxy with another. But just because fat didn’t survive for millions of years doesn’t mean that a dinosaur didn’t have it. Animals have fat and they have it all over the place and some places they have really big fat reserves which changes their shape fairly drastically. 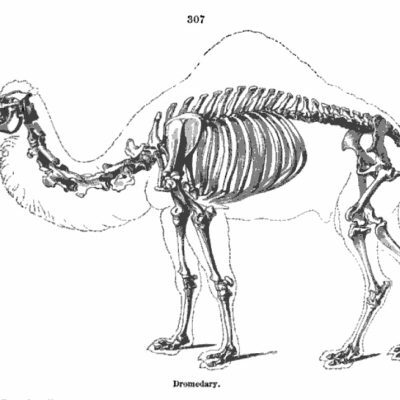 To illustrate this point, think about trying to draw a modern animal, like a whale or a camel, just from their fossilized skeleton. It ends up looking really weird. If you draw a bowhead whale just from the skeleton, without a lot fat or blubber, it looks kind of like a giant tadpole with a bulbous head and long snake-like tail. It looks weird because a whale’s shape is defined by fat. Scientists do sometimes find dinosaur fossils with the soft tissues intact, and when they do it can completely change our image of the animal. 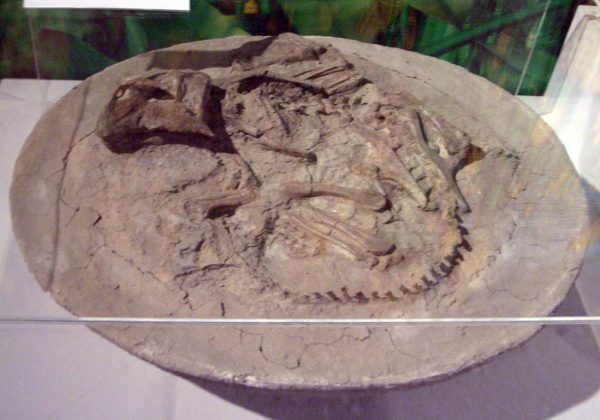 The dinosaur psittacosaurus, for example, used to be depicted in a standard, shrink-wrapped kind of way, until paleontologists found this amazing full body fossil where lots of the fat and the skin and the different soft tissues had been perfectly preserved. It turns out it was a kind of chubby creature with lots of striping, and long curving quills growing off the top of its tail. 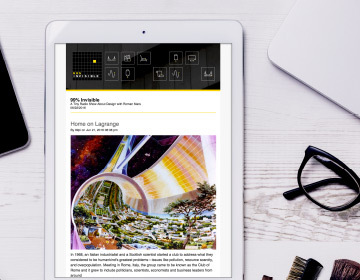 Conway began to try something new with his art — he started to speculate. He began drawing pudgy dinosaurs, and dinosaurs with weird skin flaps, and so many feathers they looked like birds. There was always a standard conservative dinosaur at the center of his drawings, but then he would cover it with more speculative elements. He wasn’t claiming that every dinosaur he was drawing was perfectly accurate, but he wanted to show people that dinosaurs as a group probably had a lot more weird variety than we tend to think. 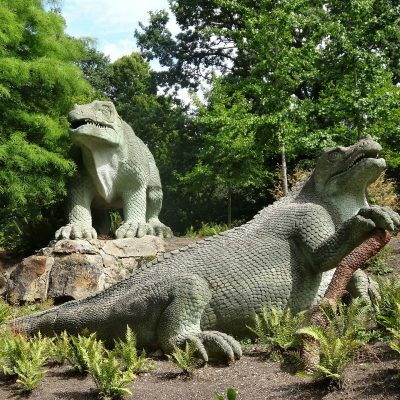 “In order to get the overall picture of dinosaurs right I think you need a healthy dose of speculation in there,” Conway says. That doesn’t mean anything goes. Conway is careful to say that dinosaur art should reflect the latest science—what we know for sure—but we’ll never know everything. John Conway eventually decided to give the world a dose of speculation in the form of a book. 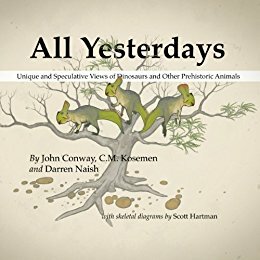 He teamed up with Darren Naish and another paleoartist named Memo Koseman, and published a slim little paperback titled All Yesterdays: Unique and Speculative Views of Dinosaurs and Other Prehistoric Animals. 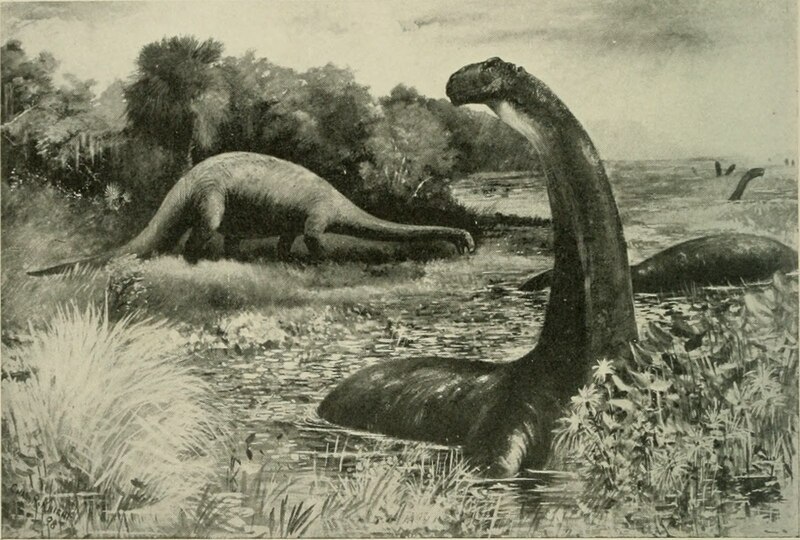 The book is filled with dinosaurs that look very different from what most people imagine. There’s a triceratops that’s covered in spines, a majungasaurus with skin that camouflages it against the forest floor, and a therizinosaurus that is so covered in feathers it looks like a haystack. 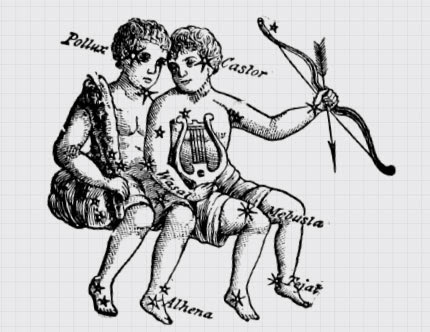 And next to each image the artist describe why they drew it that way. 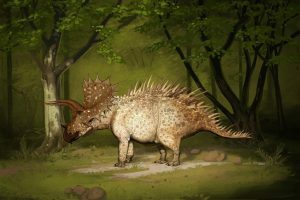 The camouflaged dinosaur is drawn that way because the artists reasoned that its oddly-proportioned body might have made it vulnerable to predators and in need of a defense strategy. All Yesterdays also tried to expand our understanding of dinosaur behavior. Usually when we see a fierce tyrannosaurus rex it’s attacking another dinosaur. But the dinosaur probably spent most of its time sleeping, and so that’s how John Conway drew it. 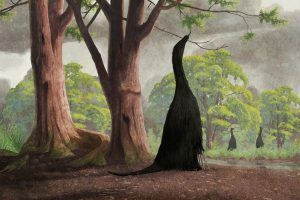 All Yesterdays was a real hit, and helped spark a little speculative movement within the paleoart community. 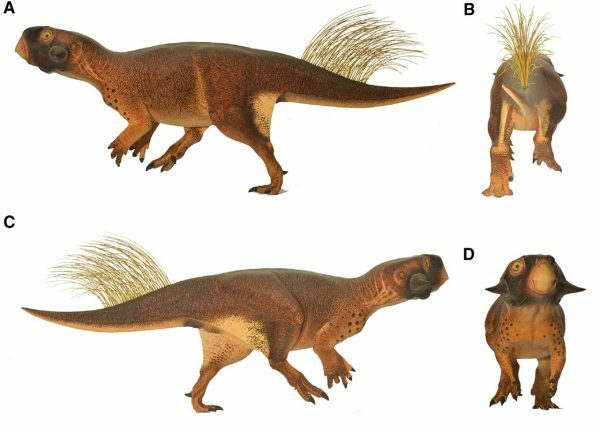 Darren Naish says it’s more acceptable now to draw a dinosaur based on a hypothesis. 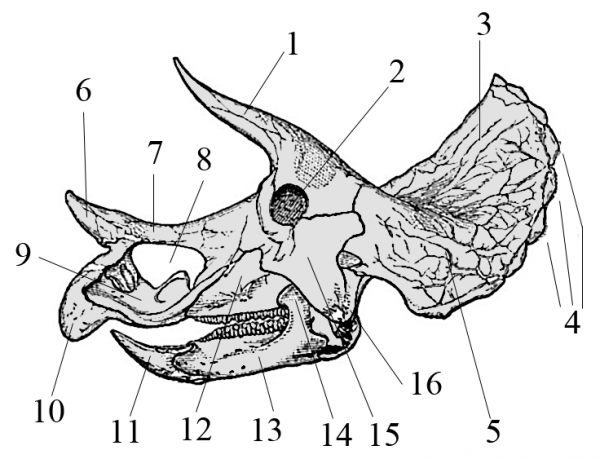 For example, horned dinosaurs like triceratops have these large nostrils that have confused paleontologists for years. There have been a few different hypotheses put forward by scientists — one of them is that the dinosaur may have had inflatable nose balloons, almost like a hooded seal. Twenty years ago, if someone were to draw a triceratops with nose balloons, they would have been laughed at. But Naish says that it’s now quite reasonable for an artist to depict the dinosaur that way as long they explain that choice. Of course, that doesn’t mean triceratops definitely had nose balloons! But by drawing it that way, it’s like the artist is asking us to keep an open mind. Because even though we know a lot about the prehistoric world, the science is always changing. The past is always a moving a target. 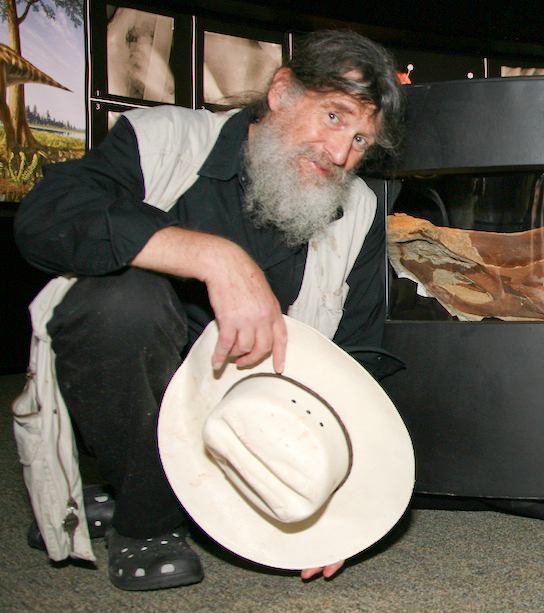 Producer Emmett Fitzgerald spoke with Bob Bakker, paleontologist and paleoartist; paleontologist Darren Naish and paleoartist John Conway, co-authors of All Yesterdays: Unique and Speculative Views of Dinosaurs and Other Prehistoric Animals. This show reminded me of another book that examines how archeologists and anthropologists may not get things exactly correct. ‘Motel of the Mysteries’, by David Macaulay, looks at the excavation of a motel, preserved in 1985, in the year 4022.